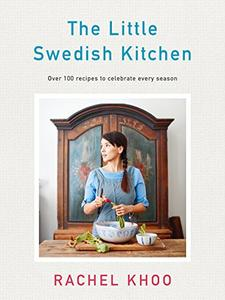 Join Rachel Khoo on a delicious journey through the Swedish year . . . Complete with stunning location and food photography, Rachel’s new cookbook lets you in on what the Swedish like to call Lagom . . . the art of not too little, not too much but just the right amount. Learn how to cook beautiful, fuss-free food . . .
With over 100 recipes, Rachel explores Sweden’s simple and balanced approach to cooking, celebrates their best-loved ingredients and reveals a must-try cuisine that is about far more than just meatballs, fika and cinnamon buns . . .